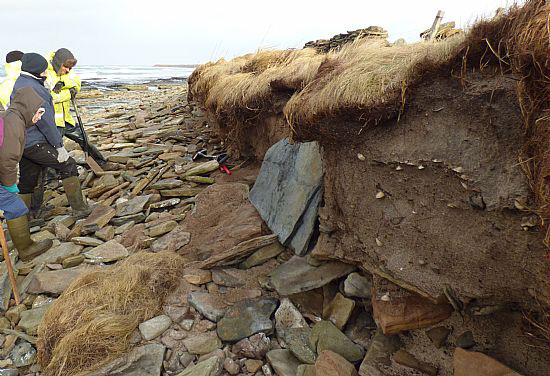 Last Tuesday, on February 3rd, tour guide Carrie Brown was walking along the beach in the north end of Sanday island (Orkney) when she saw part of a rib-cage in the sandy part of the banks. She and her partner Ali Thorne then notified archaeologists who took a closer look in the afternoon. 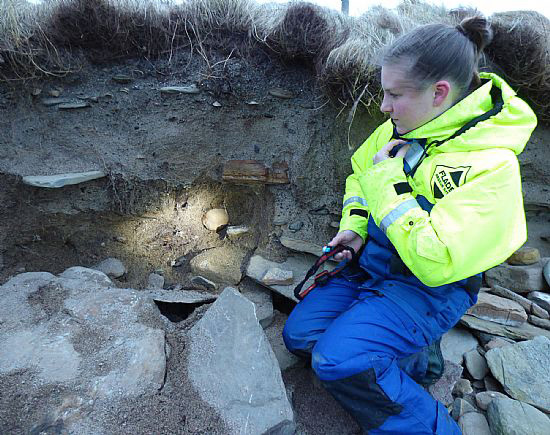 After confirming the presence of the skeleton’s skull, Historic Scotland was alerted and two experts were sent to Sanday on Saturday 7th. They revealed what may be the burial site, some three to four thousand years ago, of a child of perhaps 10-12 years of age. 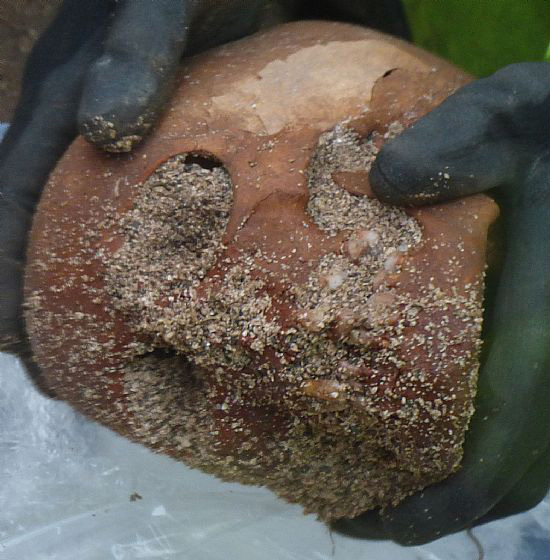 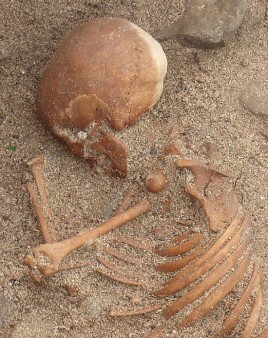 The almost complete skeleton will be analysed by a team of osteoarchaeologists in more suitable climatic conditions. Evidence of human occupation of the remote Orkney Isles appears at around the fourth millennium BC. 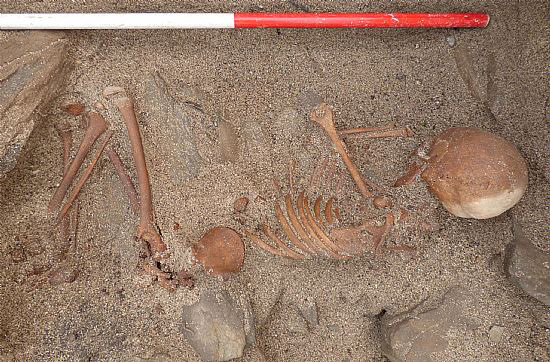 By this time the bands of hunter-gatherers of the Mesolithic had gradually evolved into an agricultural society. The remains of the child appear to pre-date one of Orkney’s most important archaeological finds – a collection of bones and a Viking long boat found in 1985 – uncovered on the same island after storms.